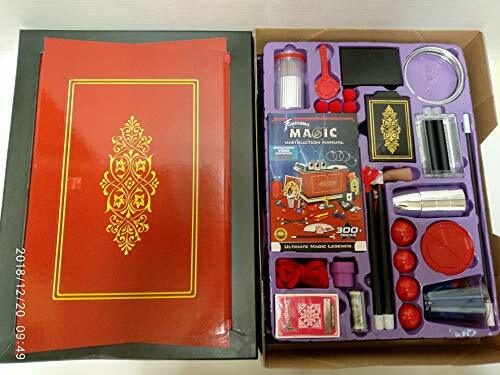 There will be magical fun with the 300 tricks that can be performed with this set. Kids can make scarves appear, pass balls through solid cups, and more. A few of the professional props are: Wand, Production Tubes, Phantom Deck, Chinese Sticks, Linking Rings and a sturdy cardstock performance table. Comes with instructions, poster and a 90 min. DVD showing rare footage of legendary magicians and visual instructions. 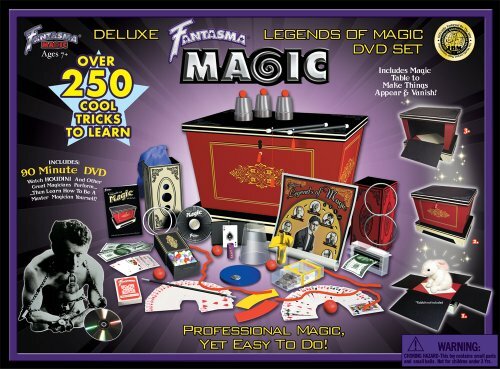 Learn the art involving the sleight of hand with this Legends of Magic DVD set. The set includes over 250 amazing tricks of professional yet easy magic, including penetrating balls through solid cups, producing silk scarves from thin air, escaping chains, card tricks and magic table illusions. 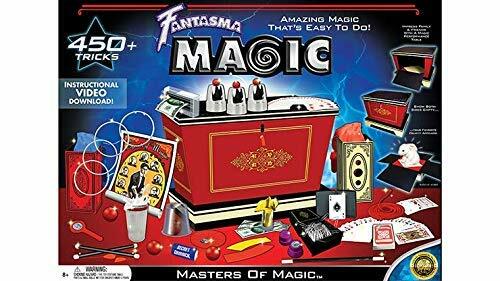 Set includes magic table and a 60-min. DVD containing performances by Houdini and other great magicians. For ages 7 years and up. From Fantasma Toys. Imported. 4-1/2Hx14-3/4Wx20L”.